Surrounding the US Climbing National Bouldering Competition at the Deschutes County Fairgrounds, we will be hosting a climbing film night! 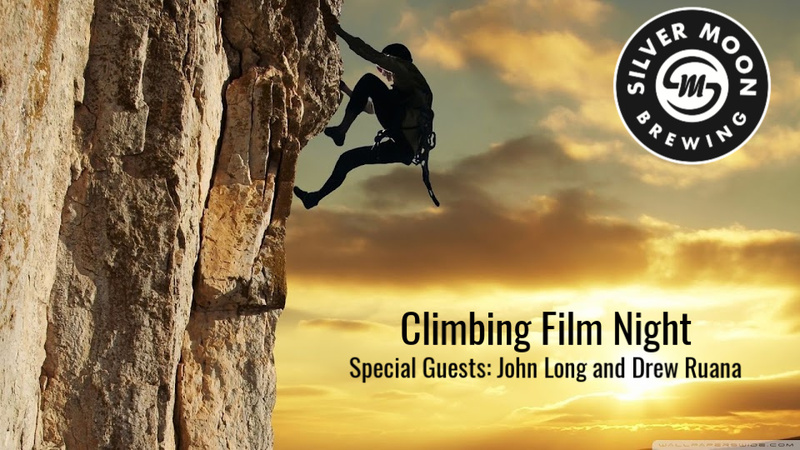 With the help of adventure videographer and producer Jason Bagby and Bend Rock Gym, we have selected four amazing climbing films that will be screening in our pub on Saturday, February 9th. These films were selected to highlight all areas of the climbing community. In addition to these incredible films, we will also have several special guests joining us: John Long and Drew Ruana. John Long is well known as being one of the most influential climbers the sport has ever seen! Most notably, he was the first climber to perform a one-day ascent of the most sought after rock climb in North America, the 3,000 foot Nose route on El Capitan. This is about as good as it gets! Don’t miss out on meeting one of the true legends in the climbing community. Drew Ruana, a local legend in the Central Oregon community, is quickly becoming one of the most respected climbers in the country. Most recently he developed the most difficult route at Smith Rock (Assassin 5.14d). Come and see his new projects and hear about his incredible journey! 2:00 p.m.: Doors Open! Get your drinks and food and get settled! A huge thank you to all of our sponsors involved with the event!